Comments Off on Norwescon Schedule, ho! I’m pretty excited. And yes, there will be changes to the website as soon as I can manage, which WILL include fixing quite a few broken things, like the darned Events plug in that keeps borking dates! March 5, I’ll be teaching an intensive one-day Character development workshop for Clarion West in Seattle. Great characters don’t spring from the Character sheet; you fill the character sheet as you explore and discover great characters by writing. I’d love to see some of you guys there. Comments Off on Workshop Still Open! Rainforest Writer’s Retreat (first session), Feb 15-19, (Rainforest Resort, Lake Quinault WA–sold out) I’m attending, not teaching. A Matter of Character, Character-development Clarion West One-Day Workshop, March 5 10-4pm (Seattle WA) I’m teaching! Norwescon, April13-16 (Easter Weekend), Seattle Airprot DoubleTree Hotel, (Seatac WA) I’ll be doing crit and other writer’s workshop stuff as well as general and topic panels. SpoCon, Aug 11-13, City Center DoubleTree Hotel (Spokane WA) I’m the writer Guest of Honor! 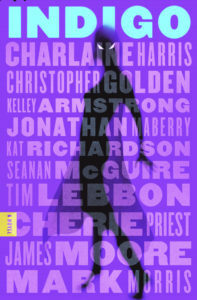 Bouchercon, Oct 12-15, Sheraton Center (Toronto ON Canada) I’m attending. Waywords at the Wayward write-in/writer community gab-fest continues every First and Third Tuesday 6-10 pm (Wayward Cafe, Seattle WA) Just hanging out with writers. Other things may be added, as I know of them. 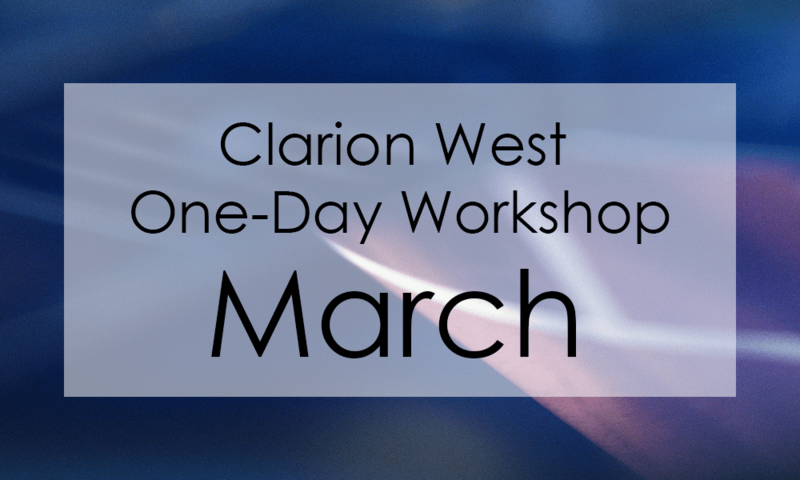 It’s Friday, and I usually avoid posting anything important on a Friday, but I figured it was time to remind folks that I’m teaching a One-Day Character Workshop for Clarion West in March and I’m kind of excited. “Drafty as a Chain Mail Bikini” in Upsidedown: Inverted Tropes in Storytelling, Edited by Monica Valentinelli and Jaym Gates, Apex Books, November 2016 (fantasy). Hope I didn’t forget anything…. 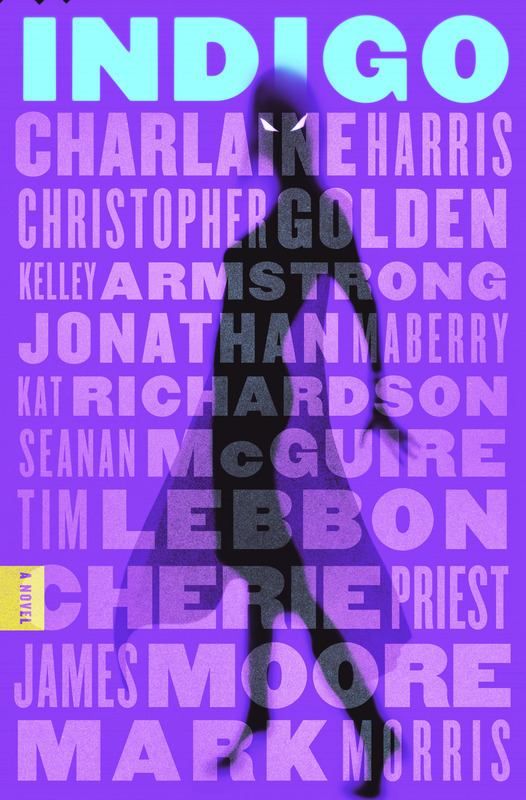 Indigo, the multi-author novel project I was working on with nine other authors (Christopher Golden, Charlaine Harris, James A. Moore, Cherie M. Priest, Kelly Armstrong, Seanan McGuire, Tim Lebbon, Mark Morris, and Jonathan Maberry for the past 18 moths or so, has been listed by io9 as a Best SFF Book Coming Out in 2017! Whoohoo! and isn’t that a nice start to the year? Submissions for the Death of All Things anthology are now, officially closed. We have more than 100 new pieces to read from the slush pile, in addition to the contributions from our anchor authors, so it may be a while before we’re done. Thanks for being patient and for sending in your stories. Just in case you know a writer who needs a holiday gift and you just don’t want to give then another blank book or coffee mug, I’ll be teaching a one-day workshop for Clarion West March 5 2017, in Seattle. Only $150 to talk character for 6 hours– that’s a pretty good deal! From the site: Learn how to develop characters that come alive on the page and move your plot dynamically from the first word of a story to the last. In this workshop, you’ll practice exercises that will help you craft character motive, backstory, flaws, and quirks. You’ll come away from the workshop knowing how to produce exciting, relatable characters for every role in your story, from the biggest to the smallest. Check out the details and register soon. Space is limited. We are still accepting submissions through December 31, 2016, but we won’t be sending out acceptance *or rejection* messages until sometime in Late Feb/ Early March (edited, because, sorry: my bad). So if you haven’t heard from us, it’s not because we didn’t get your story or we’ve already rejected or accepted it. We want to see all the stories before we accept or reject *any* of them. The only exceptions are the “anchor” authors (Stephen Blackmoore, Aliette de Bodard, Christie Golden, Jim C. Hines, Jason M. Hough, Faith Hunter, Juliet E. McKenna, and Fran Wilde), whose work is being managed separately from the general submissions. Please be patient with us–we promise to let everyone know their story’s status after we’ve reviewed them all. Thanks, and have a wonderful, word-full December!